HF: The China Sugar Refinery Company started life, I think, in 1874, as Wahee, Smith & Co (or possibly without a comma). Several partners of Wahee, Smith went bankrupt leading to the sale of the refinery to Jardine, Matheson & Company. Choa Chee-bee was compradore at both companies having come to Hong Kong in the early 1870s from Malacca. If so, the belief that in 1878, Messrs. Jardine Matheson & Co., Ltd established the first sugar refinery in Hong Kong named China Sugar Refinery Company is not correct. 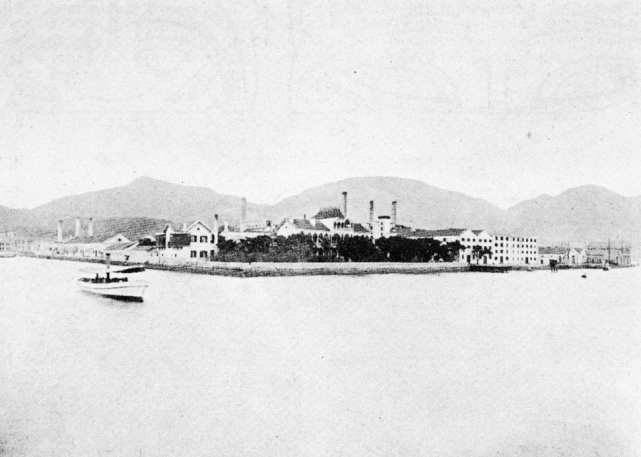 The China Sugar Refinery was located at East Point, Causeway Bay close to Gloucester Road which at that time was on the waterfront and Jardine Matheson built a company wharf to facilitate importing raw materials and the export of products. Raw sugar cane was imported from Java, the Philippines and British Straits Settlement of Malacca, and from various Chinese ports. Refined sugar was exported to China and India. 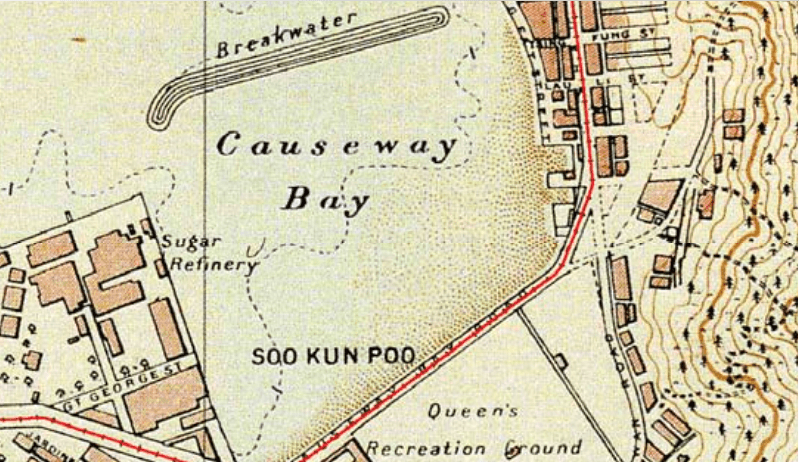 The refinery covered an area of several acres of land, i.e from today’s Patterson Street, Great George Street to Gloucester Road. It was equipped with “large machinery”, iron or brass pots were installed with connecting pipes to cook and filter the sugar. The highest grade of refined sugar crystals was white and fine, and this was processed into loaf, cube, powder, caster and icing sugar. A lower class of brown sugar was extracted from the syrup and after all the crystallized sugar had been extracted, the remaining syrup was marketed as molasses or used in themanufacture of spirits especially rum. The company had a laboratory where European chemists could test the quality of the sugar products at various stages of its refinement. http://gwulo.com/node/16877 An article, and comments about Samuel and Elizabeth Baker and their house (photograph probably taken between 1910 and 1920) near the refinery. Samuel was an engineer at “East Point Sugar Refinery”. This article was first posted on 11th May 2015.